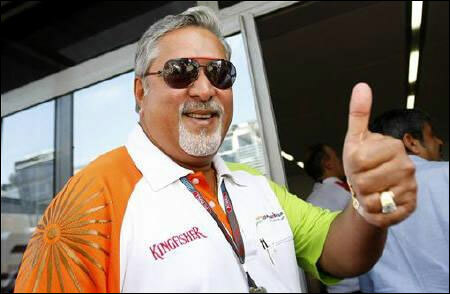 The Karnataka High Court has rejected a petition by Vijay Mallya-led Kingfisher Airlines Limited challenging the move by a consortium of banks to take possession of its "Kingfisher House" property in Mumbai to realise part of the debts due to them from the airlines. Kingfisher Airlines Limited (KAL) had sought the high court's intervention to prevent the banks from taking possession of the property, which houses the airline's prominent offices, but Justice Anand Byrareddy rejected the contention. In his order on Wednesday, Justice Byrareddy said sections 34 and 35 of the Securitisation and Reconstruction of Financial Assets and Enforcement of Security Interest (SARFAESI) Act, 2002, bars the Company Court from excercising its power when the banks invoke provisions under it to take possession of the pledged assets. SBICAP Trustee Company Limited had filed an application before the Chief Metropolitan Magistrate (Esplanade, Mumbai) on behalf of the consortium to take possession of the property to realise part of the debts due to the banks, which was challenged by KAL. "The Company Court cannot interfere in the action taken by the banks to take possession of the property in question, but the company can only take recourse under the SARFAESI Act and not under the Companies Act," the judge said. Justice Byrareddy said the banks could take over the property as per law. KAL has been grounded for more than 15 months and Mallya had stated in September that the airlines was in talks with a foreign investor for potential stake sale but refused to divulge the investor's name.